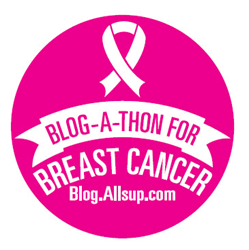 The Allsup Blog-a-Thon for Breast Cancer kicked off with its first blog on Oct. 1 and will continue through Oct. 31 at Blog.Allsup.com. Breast cancer is the most common type of cancer among women in the U.S., and the second-leading cause of cancer-related deaths, according to the Centers for Disease Control and Prevention (CDC). Allsup, a nationwide Social Security Disability Insurance representation provider, recognizes the barriers women with disabilities often face when seeking mammograms and preventive care. This topic and many more will be addressed throughout October during the “Blog-a-Thon for Breast Cancer” at Blog.Allsup.com. The Blog-a-Thon for Breast Cancer kicked off with its first blog on Oct. 1, and will continue through Oct. 31, with new blogs on various topics related to breast cancer submitted by individuals across the U.S. Examples include making decisions about reconstructive surgery, talking to children about breast cancer, and the disparities in breast cancer rates and treatment for women with disabilities. If you have a perspective on breast cancer you would like to share, contact Tai Venuti at t(dot)venuti(at)allsupinc(dot)com. Allsup and its subsidiaries provide nationwide Social Security disability, veterans disability appeal, re-employment, exchange plan and Medicare services for individuals, their employers and insurance carriers. Allsup professionals deliver specialized services supporting people with disabilities and seniors so they may lead lives that are as financially secure and as healthy as possible. Founded in 1984, the company is based in Belleville, Illinois, near St. Louis. For more information, go to http://www.Allsup.com or visit Allsup on Facebook at http://www.facebook.com/Allsupinc.